Running a small business or establishing a start-up is rewarding but it can also be incredibly exhausting! Striving for success whilst trying to keep costs down is no easy task, and lots of small business owners and start-up founders often bite off far more than they can chew. Doing so can actually be counter-productive, delaying and even hampering the potential success of the business, not to mention reduce any chance of creating a good work/life balance. The key to success in business and management is to learn how to delegate. In the case of a small business or new start-up, that delegation is best out-sourced rather than hiring full-time professionals to join your team. Despite your fears about costs and losing control over certain aspects of your business, outsourcing key tasks can prove more cost-effective and actually accelerate your business’s success in the long-term. It’s difficult to get ahead when you spend all of your time answering the phone and scheduling appointments. A virtual office should be considered to tackle low-value calls and redirect those that really require your attention. You would be surprised how outsourcing this simple task can free up your time to focus on more important business management tasks. Not only that, but a virtual office can also cut costs for start-ups as no physical office is needed which cuts costs. Without a background in accounting, book-keeping can prove a minefield. Managing invoices, payroll and expenses is a time-consuming, challenging task and one where crucial errors can occur. Forget about immersing yourself in taxation legislation and profit and loss accounts, as this is a task that can be easily outsourced to a professional accountant for a relatively inexpensive fee, especially when you consider the time invested. Although you may have developed the product or service you are selling and although you might be an expert in your field, you’re likely not an expert in sales. Business development is a whole other skill set so if you really want to acquire new clients and build sales, outsourcing your sales to a business development professional could literally blow up your business. This can be done on a commission basis so you only pay for meetings booked or sales delivered. A true salesperson can sell any product or service, so outsourcing sales to an experienced business development manager can prove the best investment you make. Trying to design marketing materials yourself can actually hurt your brand if you don’t have the skills or proper tools to do so. Likewise, you could end up spending a considerable amount of money on various marketing channels and fail to reach any success if you don’t have the expertise to execute and manage campaigns. Believing in your brand and your business requires outsourcing marketing to a smart freelancer or agency with proven results in growing awareness and sales for similar businesses to yours. An I.T. disaster can damage business reputation and incur significant downtime. I.T. issues are not to be tackled by a business owner; they require the expertise of a seasoned I.T. professional. Outsourcing I.T. maintenance and repairs can ensure your business can stay online and be back in action ASAP in the event of an issue arising. 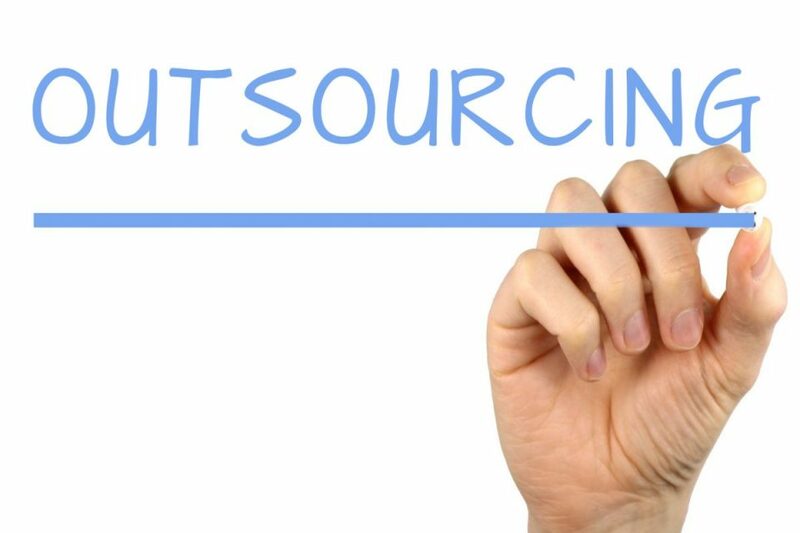 Just remember that outsourcing is the way forward for your business; embrace it and you will be on an assured path to success – not to mention you’ll free up time to actually have a life outside of work!